When you are trying to negotiate something, whether it’s the price of a car or a salary for a new job, traditional wisdom suggests starting high and offering a single number. If you want a starting wage of $65,000, for example, some experts might suggest beginning with an initially high number like $70,000 and then bargain down to your desired salary. One study by researchers from Columbia Business School challenges these old-school negotiating strategies and instead suggests that putting forth a range might actually pay off to your benefit. 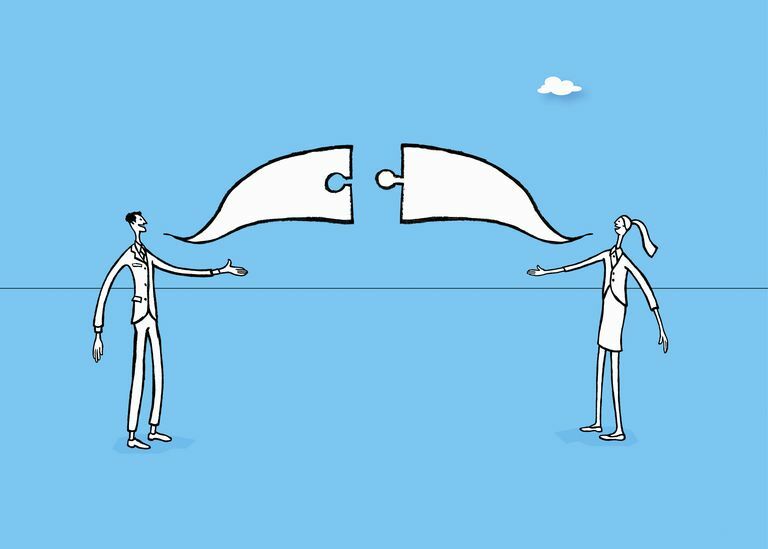 Researchers Daniel Ames and Malia Mason found that when negotiating a deal, pitching a modest range frequently led to better offers than starting with a single "point" number. "For years, we taught students to avoid making range offers in negotiations, assuming that counterparts receiving those offers would have selective attention, hearing only the end of the range that was attractive to them," explained Ames in a statement. "Our results surprised us, upending how we teach the topic. We can't say that range offers work 100% of the time, but they definitely deserve a place in the negotiator's toolkit." If you want $65,000, they suggest that proposing a salary range between $65,000 and $70,000 might actually lead to higher offers. This type of offer is what they refer to as a "bolstering offer." Your desired number is at the low end of the range, but boosting your range above your target number can lead to an offer that is actually more than your initial target. In other cases, the researchers suggest that a "bracketing" range might be more effective. If you want $60,000 you might instead propose a range between $58,000 and $65,000. While it might seem that potential employers might immediately latch on to that lowest number and simply offer that amount, the researchers found that this kind of strategy can give negotiators an edge. People who proposed such ranges might be seen as more polite and flexible, which in turn leads potential employers to feel the need to reciprocate. "Negotiators seem to intuit what would be polite in terms of their treatment of their counterpart, and this factors into their own behavior," the authors explained in an article published in the February 2015 issue of the ​Journal of Personality and Social Psychology. "Our results document such an effect and, further, show that range offers have the potential to shape expectations about the politeness of subsequent counteroffers." In a series of five experiments, the researchers looked at different bargaining situations including haggling over the price of a car, negotiating a salary, to bargaining with an event caterer. The studies were designed to look at whether ranges led to better results than single price-point offers. Additionally, the authors looked at different types of range offers and the overall impact they had on the negotiating process. Point Offers: In some cases, participants were told to stick to a single-price offer. Backdown Range Offers: Other participants were told to use a range that backs down from a point. For example, if you want $100 an hour, suggest that you could accept between $80 and $100 an hour. The researchers found that this type of offer led to a worse deal, but better relationship outcomes. Bracketing Range Offers: Some participants were told to offer a range that spans the desired number. So if you wanted $100 an hour for a service, you would offer between $90 and $110. The results indicated that this type of offer didn't lead to much benefit over a point offer, but did result in better relationship outcomes. Bolstering Range Offers: In other cases, participants were told to present a range that bolsters above the desired amount. So if you wanted $100 an hour, you would offer a range between $100 and $120. This led to better offers than single-point offers and had no overall effect on relationship outcomes. Bumped Up Point Offer: In this strategy, participants were told to give a single, ambitious number. So if you wanted $100 an hour, you would instead ask for $120 per hour. This approach led to more relationship strife and resulted in more negotiating impasses, but offered no benefits over a single, realistic point offer. So based on the results of these experiments, your best bet when negotiating might just be to utilize a bolstering range offer. If you want a 15% discount on an item, ask for a %15 to 20% discount instead. You might get a much better offer than if you just stick to a single number or suggest an overly aggressive number. Ask for too much, and you might lose the deal and drive your negotiating partner to walk away. Ask for too little and you might not get the offer that you really want. Offering a range that starts with what you want and suggests just a little bit more, however, can lead to getting either what you want or even more than what you initially hoped, all without damaging your relationship with your negotiating partner. "Range offers can sometimes be an effective way of asking for more without driving your counterpart away," suggested Ames. Ames, D. R., & Mason, M. F. (2015). Tandem Anchoring: Informational and Politeness Effects of Range Offers in Social Exchange. Journal of Personality and Social Psychology, 108(2), 254–274. doi:10.1037/pspi0000016. Columbia Business School News Room. 2015. When It Comes to an Opening Number, Sometimes the Best Bargaining Move Is to Offer Two. http://www8.gsb.columbia.edu/newsroom/newsn/3497/when-it-comes-to-an-opening-number-sometimes-the-best-bargaining-move-is-to-offer-two.